Tasting Note: The very first edition of our new Cask Strength release is classic BenRiach in style and shows BenRiach in its most natural state, cask strength, non chill filtered and of natural colour, allowing the distillery’s unique spirit to shine through. This complex single malt has a creamy, delicate taste and aroma that truly captures the BenRiach character with a combination of vanilla, fruits and sweet barley. 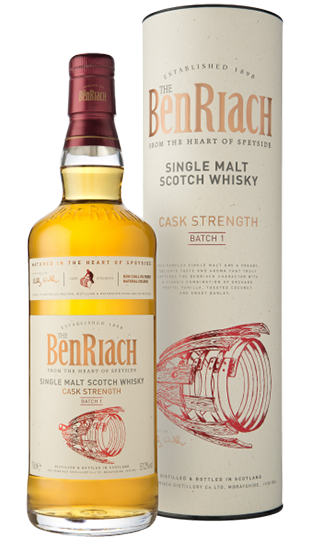 The BenRiach Cask Strength Batch 1 is bottled at 57.2%.